Last night I managed to catch a few of the new Music Videos on VH-1. 1. 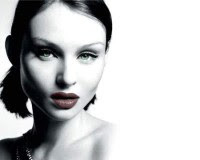 There was Sophie Ellis Bextor's "Catch You" from her "Trip The Light Fantastic" Album. The lady seemed to have a major Madonna-in-her-hey-days hang up. The same bright red (vermillion? ), frilly, latin american-style dress, hair, gelled (oiled? ), pulled back in a bun, Venice, Gondola, sepia tone shots, etc. 2. 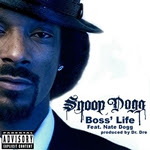 Then there was "Boss's Life" by Snoop Dogg Featuring Nate Dogg .. whatta crappy song .. with an equally crappy video to boot. Snoop Dogg is a 6-foot, tuff, rugged-looking, broad-shouldered BOY, complete with the hood on his head, et al ... and, oh yes, he also wears pig-tails in the video !! Ha! Talk of a confused child..!! And oh, yes, there was the token, skimpily clad black girl in stillettos (and nothing much else) in the vid ..
3. 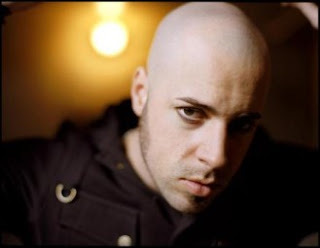 Finally, there was a true Rock video .. "Home" from Chris Daughtry (re member this guy ? Looks like Vin Diesel.. bald pate ..) He was the fourth last to be eliminated from last season's American Idol . Great vid .. great song ... great lyrics. I also, managed to catch Avril Lavigne's "Girlfriend" (my daughter's fav song ... "Ooh Dad, I just love this video..."). Typical, girlie-vid ... high-school babes trying to "eliminate" much-wanted boyfriend's present girlfriend ... Ha ! So now you know what to expect from the vid ... there are the token shots of the present GF falling in the pool and making a mess of herself ... predictable stuff .. But you know the kids these days ... "Ooh Dad, she is just sooo cooooool ... !!!"